In his 1982 song “Allentown,” Billy Joel sang about a town that factory workers were leaving to find new opportunities. Since then, Latinos have immigrated to the Pennsylvania city and make up 25 percent of Allentown’s population. New York Daily News reporter Edgar Sandoval wrote about the change in the community in his 2010 book, The New Face of Small Town America. Sandoval, who grew up in Zacatecas, Mexico, has worked for The (McAllen) Monitor; the South Florida Sun-Sentinel and The Allentown Morning Call before working as a general assignments reporter for the Daily News. What inspired you to write the book The New Face of Small Town America? I wrote most of the book without knowing it as a reporter for The Morning Call. I was hired to write a comprehensive look of the Latino community of Allentown, Pennsylvania, and its surrounding areas. Years later, while working as a reporter in South Florida, I met a literary agent visiting New York and she liked my stories, which were written in a narrative style. I tuned them into essays and wrote several new ones for the book. 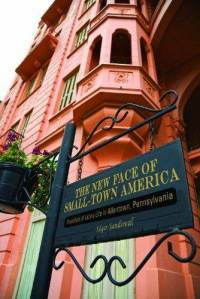 The result was The New Face of Small Town America published Penn State Press. It was all a pleasant surprise. What kind of reaction have you gotten? Most of the reaction has been positive, especially in Allentown, Pennsylvania. I have also been pleasantly surprised to see my book has been added to prestigious university libraries, such as Rutgers, and positive feedback from some newspapers and blogs. Of course, there were a few not so upbeat reviews. But, that’s the biz. 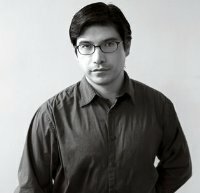 What Hispanic authors/books have inspired you? Since I was a teen, I always admired many Latino writers like Victor Villasenor and Sandra Cisneros. Both are so inspirational and such genuine people. I never thought I would meet either in person. I remember when I met Villasenor during one of those NAHJ (National Association of Hispanic Journalists) conferences. He sensed my less that bright aura and made me scream, “I believe in myself,” in the middle of the crowd. I made sure to wave from afar from that day each time I run into him at such events. Then, through a friend of mine, I met Sandra Cisneros when I moved to New York a few years ago. I was a bit nervous walking up to the party where Sandra was a guest. Immediately, she made me feel at ease when she handed me a fan and said, “I like you. Fan me.” I have seen her a few times after that and it’s always hard to believe I’m talking to Sandra Cisneros!, and she’s so down to earth to me. She treats me like a regular person, unlike that waiter at Red Lobster.